Luxury 3-bedroom air-conditioned villa for 8 people, furnished to a high standard and exuding style and comfort, ideally located close to the beach at the exclusive Paradise Beach resort. 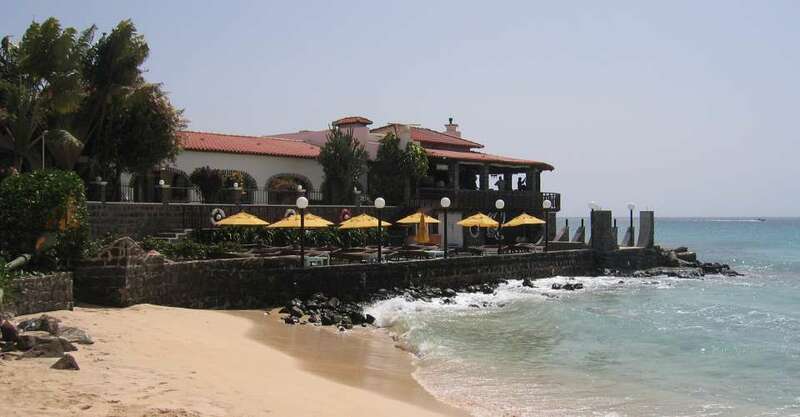 Opened in 2012, Paradise Beach is an outstanding luxury resort set in 28 hectares of landscaped grounds, located at Ponta Preta beach, close to Santa Maria on the island of Sal in Cape Verde. 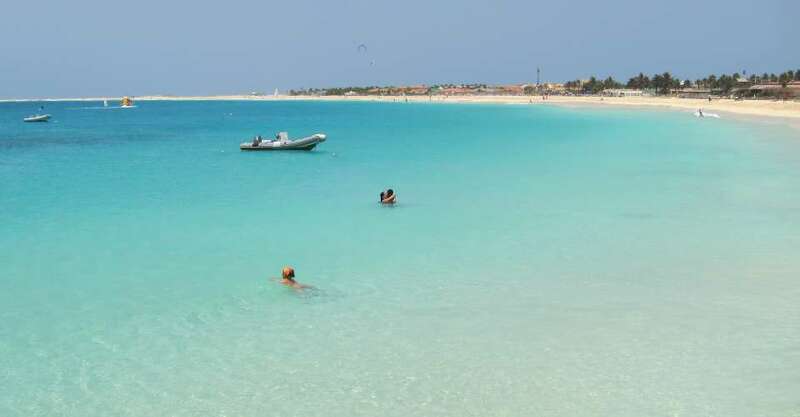 Cape Verde�s amazing bounty-like beaches instantly grab your attention, with miles of utterly breathtaking porcelain-white sands stretch as far as the eye can see, seductively sliding into glass-like turquoise seas. Volcanic in origin, the Cape Verde Islands are a marine extension of the Sahara, lying off the coast of Africa. Idyllic year round temperatures in the high twenties and virtually no rain make the islands the ideal getaway whatever time of the year. Explore miles of utterly breathtaking porcelain-white sands stretching as far as the eye can see, seductively sliding into glass-like turquoise seas, or the vibrant blending of African, Brazilian, and native cultures in the lively town of Santa Maria nearby. Relax in the sun. The villa has spacious outside areas including a large furnished roof terrace with sea views and a ground floor terrace. The beach is just 75 paces away from the villa, and the local area is blessed with an unspoilt seashore that curves for 7km around the coastline. Dine in style. The villa has well-appointed self-catring facilities, or you can treat yourselves in one of the many local restaurants. The food in Cape Verde will have your taste buds tingling in no time, with an exotic mixture of African, Portuguese and Brazilian cuisine. Enjoy. Simply enjoy a tropical paradise in our luxurious villa, set in landscaped gardens, close to sandy beaches lapped with warm azure waters, with everything you need for a memorably exotic, peaceful holiday. 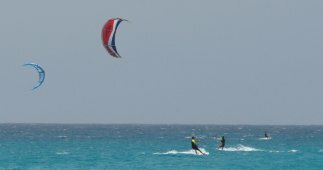 Plan your travel to Cape Verde with our cheap flights search engine, airport transfer information, and links to local travel resources. 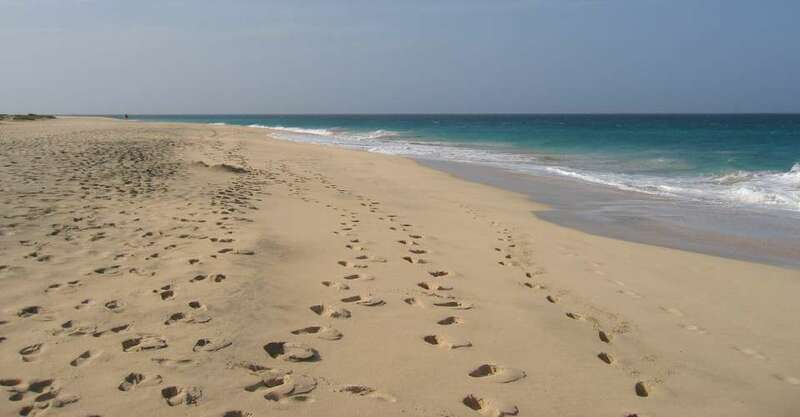 Cape Verde enjoys a dry tropical climate with average temperatures ranging between 21C and 31C. The villa was newly constructed in 2011, and will be ready to receive guests early in 2012. Large 40 square metre roof terrace with sea view, furnished with dining table seating 6 people, and 4 wonderfully comfortable sun-loungers and a 4 seat sofa set with coffee table. Comfortably furnished ground-floor terrace overlooking tropical landscaped garden areas, the perfect location for a relaxed sundowner. Open-plan living space, with well appointed kitchen, dining area seating 8 people, and comfortably furnished living room equipped with satellite TV, DVD player, and iPod docking station. Modern resort location with amenities that include 7 communal swimming pools, tennis courts, bars, restaurants, supermarkets, boutiques and a beauty parlour. Extensively landscaped resort includes walkways and gardens of tropical plants. Located in a beach-front resort, the villa is just 75 paces from Ponta Preta beach. 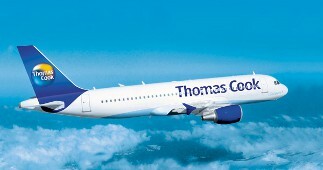 We can also offer a luxury villa for 6 in south east Crete. The villa is brand new for 2013, and features it's own roof-terrace with sea and mountain views. 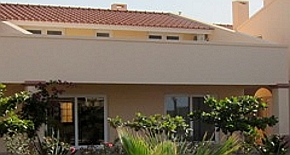 The accommodation is located in a small development with communal pools, close to the beach. Copyright © 2017 Cape Verde Luxury Villa. All Rights Reserved.